Looking for the perfect wedding centerpiece but don't want to spend your entire budget on flowers? 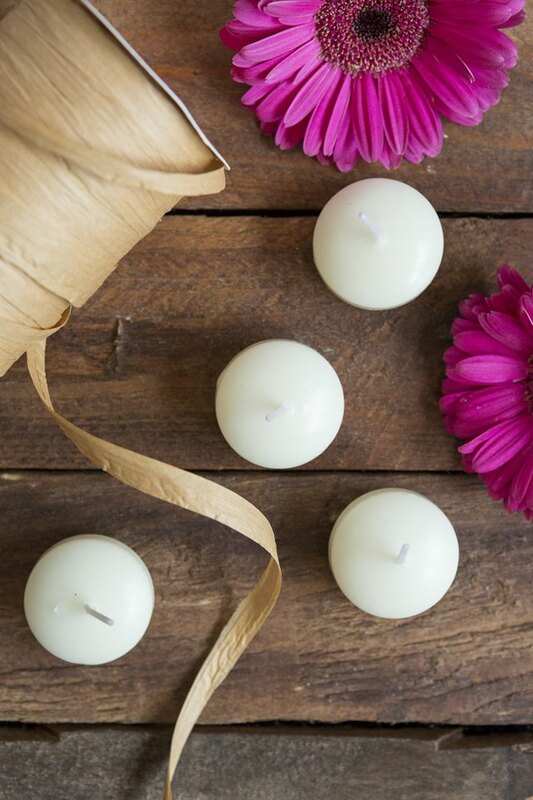 Grab a few candles and create these floating candle centerpieces. Flowers are one of the most expensive aspects of a wedding and are just thrown out at the end of the night. 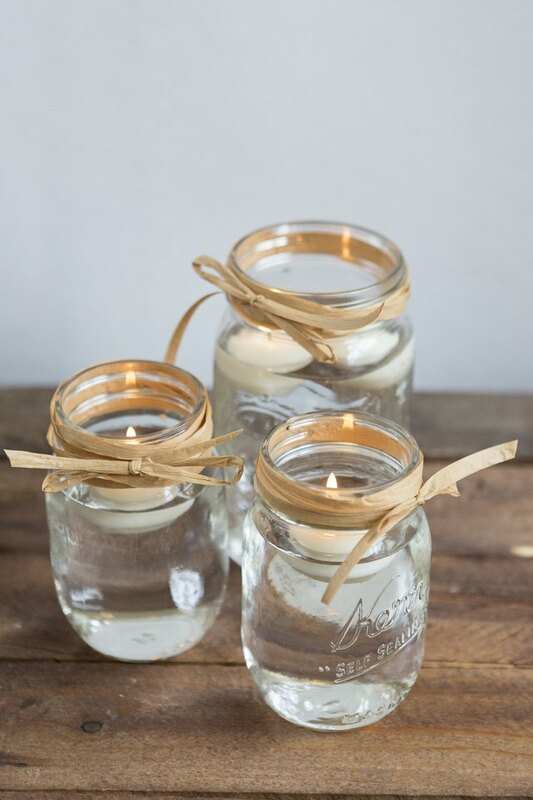 Instead, use a few empty vases or mason jars to create these three DIY centerpieces. The best part? You can easily reuse all of the supplies after the "I dos." 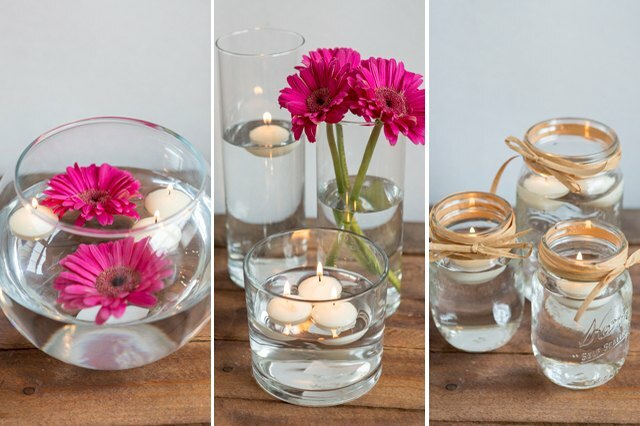 Using a fish bowl vase, you can create a basic floating candle centerpiece design. Since this vase is so large, it is ideal as a stand alone centerpiece. 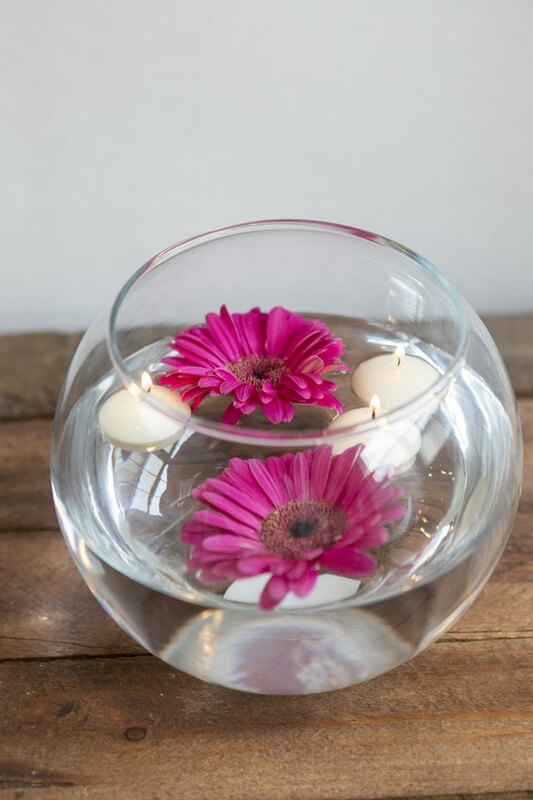 Fill the vase with water and carefully place your floating candles in the center. Then, cut the stems off of a few flowers and place inside the vase with the candles. Larger buds like Gerber daisies float well and their bold color adds a nice pop. Choose three vases in the same shape but varying heights to create this centerpiece. Using the same shape is pleasing to the eye, while adding different heights creates a nice contrast. 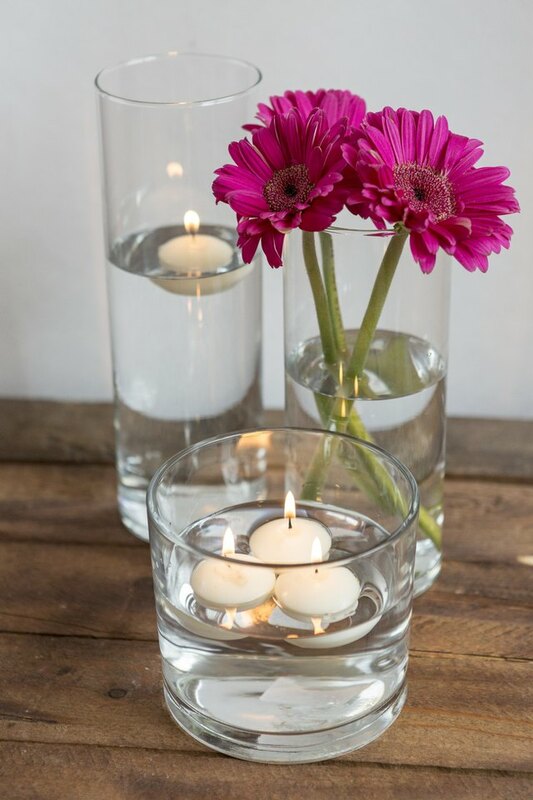 Fill two of the vases with water and floating candles. Add flowers to the third vase for a nice contrast. An alternate option to vases is to use Mason jars. Mix up your centerpiece by using both quart and pint sizes. Wrap ribbon around the mouth of the jars to dress them up a bit. No matter how large your wedding, the addition of candles helps make every space feel more cozy and romantic. Save your budget and make these floating candle centerpieces, which make a nice alternative to traditional floral table decor.